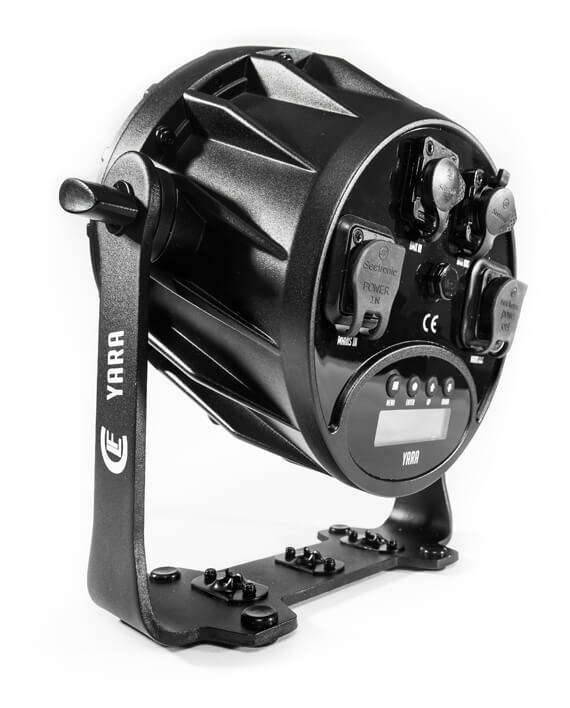 The CLF Yara is the ideal workhorse for every purpose. 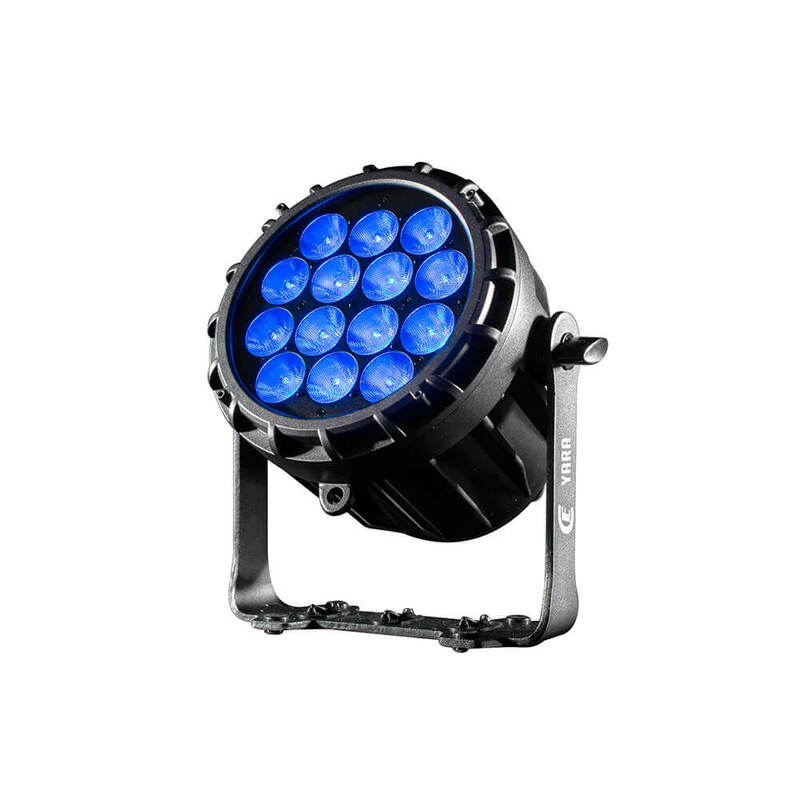 The LED fixture has an outstanding smooth RGBW color mixing delivered by 14 high power LEDs with a very punchy 15° beam angle. The special selected LEDs provides high output with intense colors and an exceptional white balance. IP65 rating makes the Yara suitable for both in- and outdoor use. 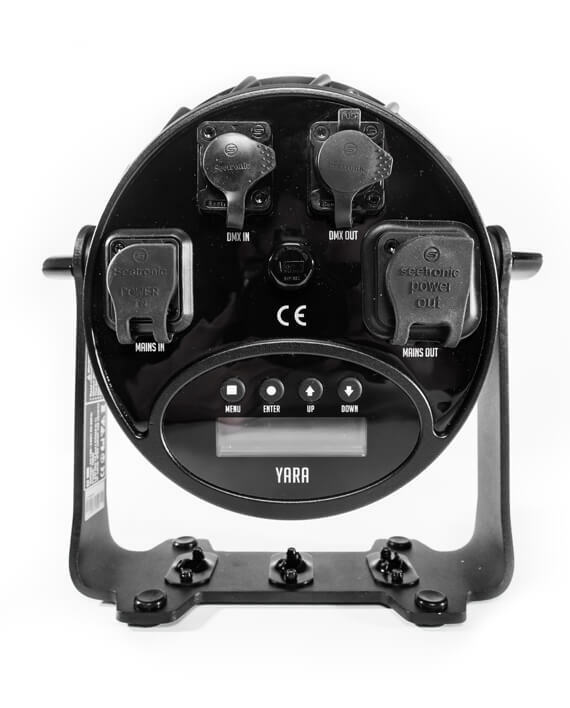 The Yara comes with a unique design featuring a single bracket with both standing as hanging capabilities. Besides that, the solid housing makes the Yara the perfect solution for heavy on the road use. The fixture is equipped with an LCD screen for easy access to the on-board settings. Silent operation is ensured because of the intelligent cooling system. 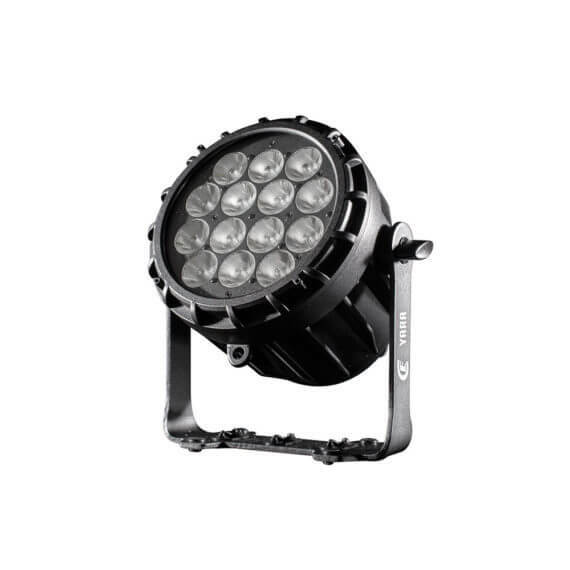 Data and power can be connected through the IP65 5p XLR and PowerCON TRUE1 connectors and rigging is made easy by the iconic CLF quick lock system. The fixture is RDM ready.